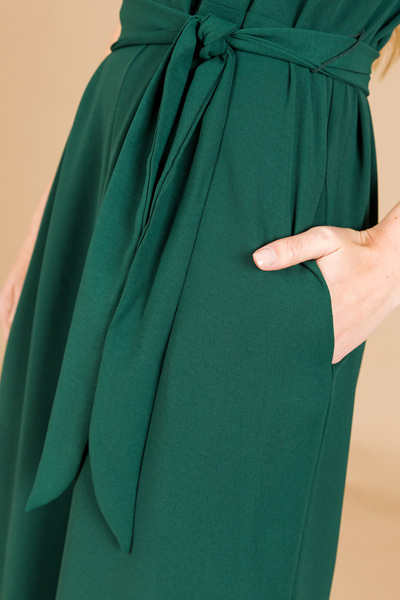 Switch it up this year and wear this gorgeous green number to all your events! The adjustable tie waist and wide legs create a universally flattering shape and the cropped length works on any height! Did we mention it has pockets?! Material is 100% rayon, and so soft.